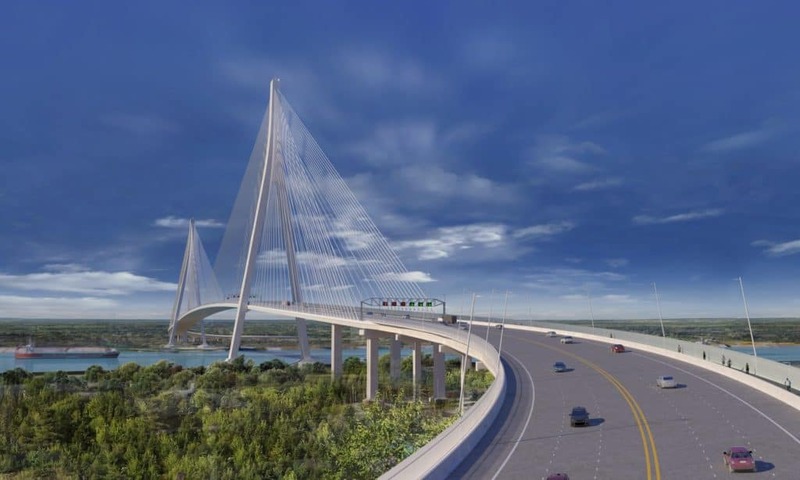 ARTBA member firm AECOM has been selected to design the Gordie Howe International Bridge between Detroit, Michigan, and Windsor, Ontario, in Canada. When complete, it will be the longest cable-stayed bridge in North America. The approximately $4 billion project is being funded through a public-private partnership of the Windsor-Detroit Bridge Authority and the Bridging North America consortium. AECOM will be responsible for designing the six-lane, 1.55-mile-long cable-stay bridge with North America’s longest .53-mile main span. The firm also will design Canadian and U.S. ports of entry, and the Michigan Interchange, which includes road improvements and connecting ramps to the U.S. port of entry and I-75. “Bridges connect, and not only will this project provide a major gateway between Canada and the United States, it will support economic growth through job creation, tourism and trade,” AECOM Chairman and CEO Michael S. Burke said in a July 12 company statement. The late Gordie Howe was a Canadian-born hockey player who spent 25 seasons with the Detroit Red Wings.